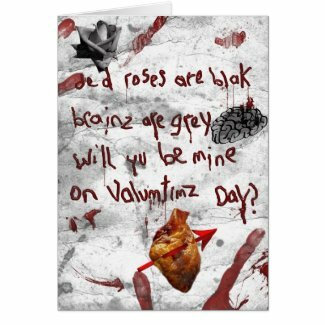 Is your Valentine a big fan of zombies? 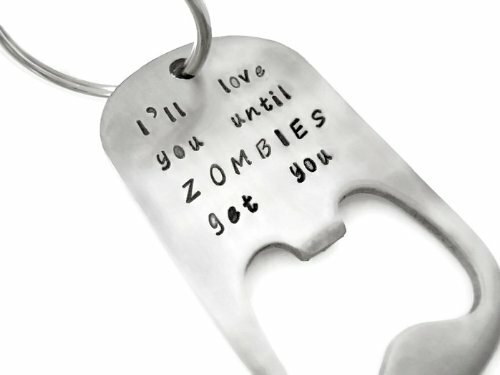 Well, we have found some great grisly gifts for you to give this Valentine’s Day. 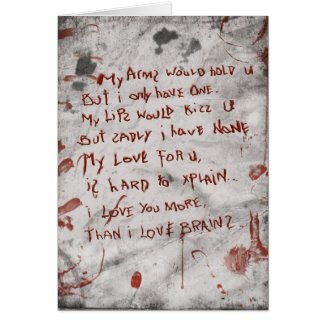 From blood spattered Valentine’s Day cards to amazing limited edition shoes, we think you’ll find that special something for the one you love. 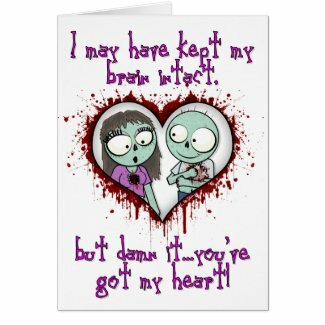 I have to admit, I was surprised by the number of zombie themed Valentine’s Day cards. I usually just pick my three favorites for these themed posts but today, I bring you six of my favorites! 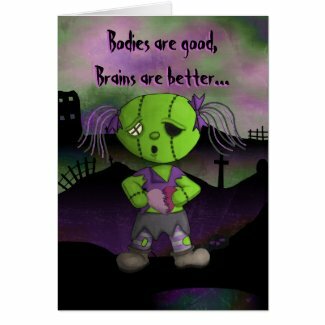 These aren’t your usual commercially designed cards either – all are designed by talented individuals on Zazzle but you can buy them through Amazon if you prefer. 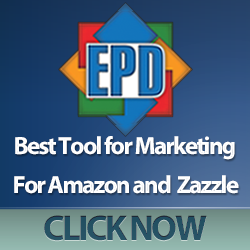 Just click through to see the messages inside and customize them too if you’d like to. 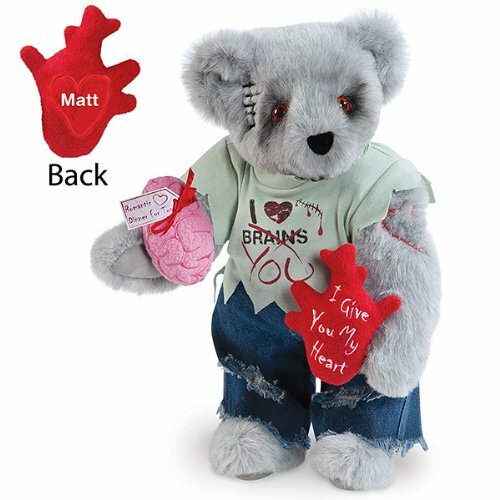 Gifts specifically for zombie Valentines are a little tougher to find but I did find these cute zombie plushies for you. 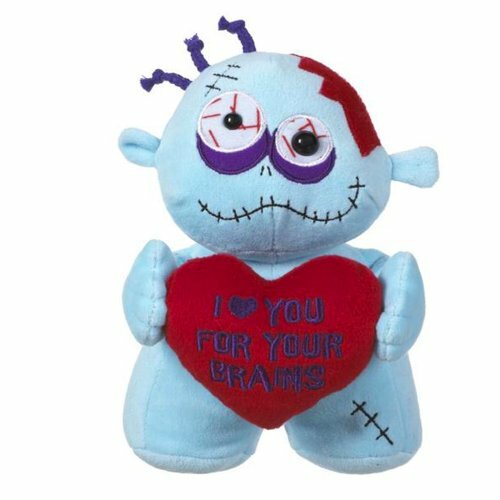 There is a whole range of the little blue zombie guys with different messages including ‘I Chews You’ and ‘Zombody Loves You’ as well as the two shown below. 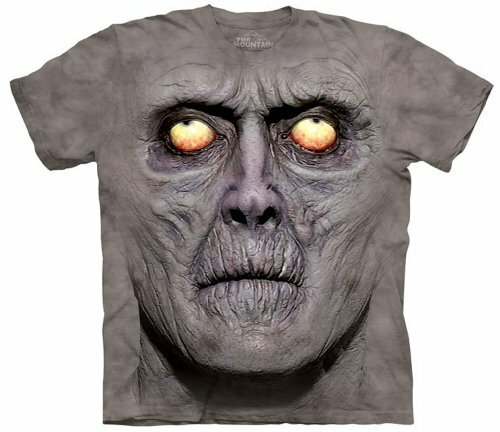 The Mountain t-shirt company has the most fantastic range of big face t-shirts and as you can see below, they have some great zombie t-shirts too. There are a few others in the range but these two were my favorites. 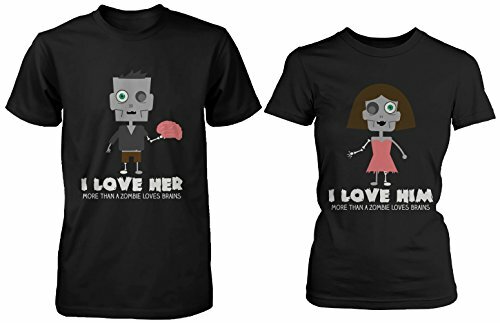 They aren’t really that romantic though so I’ve included a his and hers pair of zombie t-shirts for you to wear together on your Valentine’s Day date! 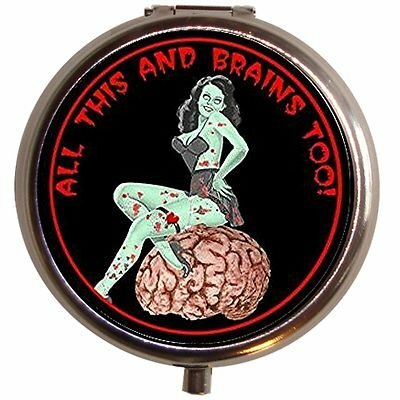 Lastly we have a slightly random selection – a pill box with a zombie pin up girl for her and a keychain bottle opener for him (or her of course!). My favorite find of the day has to be the limited edition, hand painted Zombie Stompers though – they even glow in the dark! I’ve not come across Iron Fist products before but if these aren’t to your taste, they do have a whole bunch of other crazy but supercool shoes for you to choose from. With a 4.5 inch heel and small platform, they’ll help your girl walk tall(er) and I’m pretty sure they will be the envy of all her friends! A girl can’t have too many amazing shoes after all! 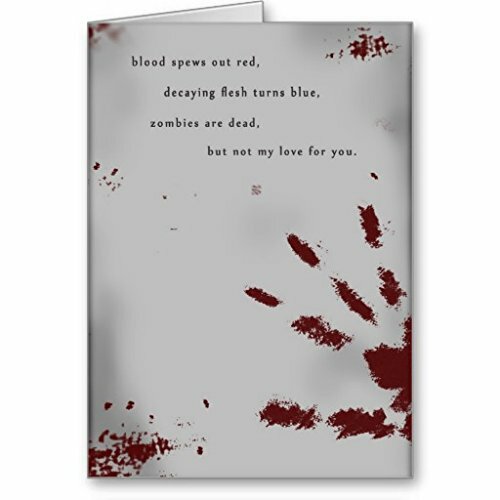 You may have noticed I haven’t mentioned The Walking Dead today – that’s because Cold put together his The Walking Dead Mega Gift Guide post just a couple of weeks ago so I’m going to suggest you have a look through that post for Valentine’s Day gift ideas – maybe your Valentine is a fan of the show in which case, it’s the perfect shopping guide for you. 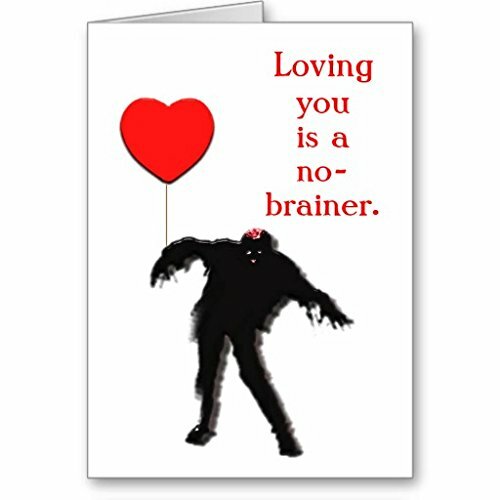 Valentine’s Day gifts don’t all have to be romantic – just knowing that my Valentine has spent time finding a perfect gift for me is just as romantic as any heart & flowers type gift. It does help if there are chocolates included though – I am a girl after all and I’m a confirmed chocoholic too! 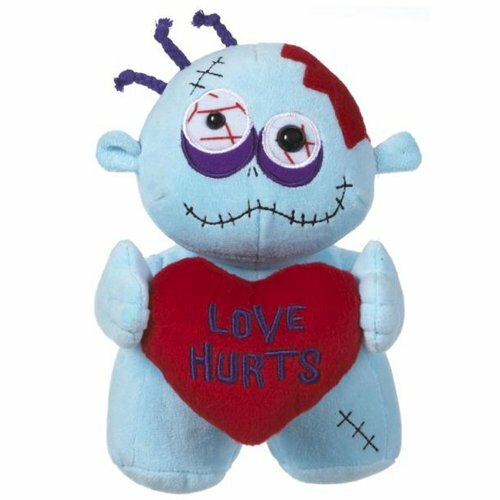 Those zombie high heels are crazy, but I really like those stuffed blue zombie plush dolls. 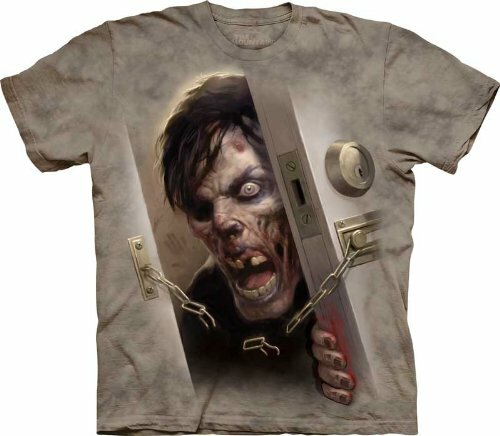 There are many cool zombie gift ideas in this article.